Opinion: Is the new Instagram algorithm necessary? Several publications are calling it the ‘impending doom’, others have said it is the ‘death by algorithm’. Those are some of the concerns raised as Facebook’s photo- and video-sharing app, Instagram looks to introduce a new algorithmic feed. If you were on Instagram yesterday, like I was, it seemed as though many influencers and bloggers were in a panic mode urging users to ‘turn notifications on’. Many mistook that the changes would be rolling out today. The ‘turn on’ feature, as Instagram explains, was to help protect users from losing views when the new algorithmic timeline is rolled out. In response to the online flurry happening on Instagram yesterday, the company took to Twitter to assure its users that the changes are not happening yet. 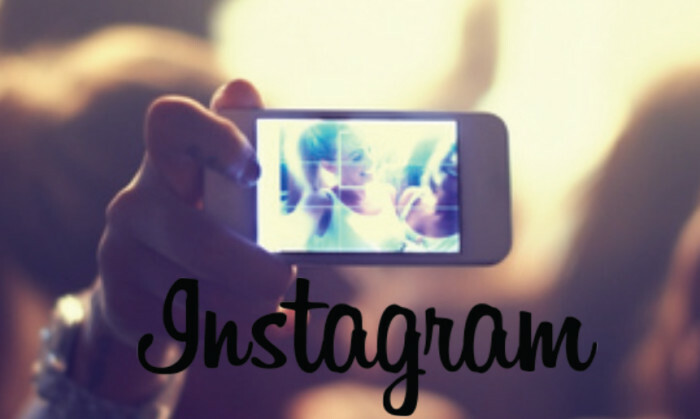 Since its announcement of the new change, Instagram has received numerous feedback from its users. An online petition has even been created against the new algorithmic feed, urging Instagram to give users a choice in choosing how they should be viewing their timeline. @instagram leave the posts in chronological order bc putting posts from popular users 1st will discourage normal people from posting at all. @instagram Why not make it optional? Isn’t it clear from the responses that NONE of your userbase actually wants this? While the move may help heaps with the social media brand’s monetisation plans, as a regular user of the platform, I find the change somewhat unnecessary. Fellow millennial and budding influencer, 21 year old Rachel Wong, who has over 4000 followers, also shared her concern with Marketing, saying the new change will make it harder for smaller accounts like hers, who are looking to grow in following. “Since I’m trying to grow my follower count, I feel like this change is going to make it harder,” Wong told Marketing. As for myself, I deem my Instagram timeline as a personal curated space and a reflection of my personality. Currently, I follow over 500 Instagram accounts. This ranges from photographers, bloggers, chefs, celebrities, and last but not least, my family and close friends – all of which I would like to have equal screen time with. This new change, with numerous accounts asking followers such as myself, to turn on post notifications for their uploads, adds an added pressure to consumers such as myself to further narrow my following. Also, by turning on the notifications of those I follow, I will be receiving notifications each time a photo is uploaded on Instagram. I certainly don’t want that given that I have already turned off my WhatsApp group chat notifications to prevent my phone from buzzing every few minutes. Moreover, just because I follow a celebrity who is holding a bottle of shampoo, doesn’t necessarily mean I will buy that shampoo. And if I have to see that post of the shampoo every time I log into my account, chances are I will un-follow the account. The writer is 21 year old Wong Jeng Teng, currently an intern at Marketing Magazine Singapore. Sources close to A+M have confirmed that fast moving consumer goods company Mayora has appointed an agency to handle its social m..
Mindshare will be leveraging AdNear’s location-based audience technology, with a database of more than 245 million user profiles a..
Will they or wont they. It's a question that has retailers at a crossroad when it comes to online shopping. But a new study shows ..
At the iClick x Marketing event, “Discover the secret to adopting data-driven marketing”, cross-border data and marketing experts ..